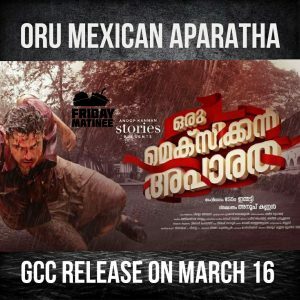 Oru Mexican Aparatha which is already an hit at the Kerala Boxoffice will be releasing on the Gulf countries on 16th of March. With Angamaly Diaries running successfully now, it will be good for Malayalees to have Mexican aparatha also coming there. Previous articleSunny Wayne’s Alamara to have a Simultaneous GCC Release !